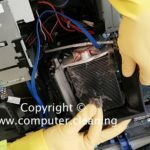 In the social sciences and life sciences, computer and keyboard contamination case study is a research method involving an up-close, in-depth, and detailed examination of a subject of study (the case), as well as its related contextual conditions. Illustrative case studies. These are primarily descriptive studies. They typically utilise one or two instances of an event to show the existing situation. Illustrative case studies serve primarily to make the unfamiliar familiar and to give readers a common language about the topic in question. Exploratory (or pilot) case studies. These are condensed case studies performed before implementing a large-scale investigation. Their basic function is to help identify questions and select types of measurement prior to the main investigation. The primary pitfall of this type of study is that initial findings may seem convincing enough to be released prematurely as conclusions. During the fall term of 2008, quite a number of students (estimated around 200-300) had contracted a pink-eye infection. According to Pete Fletcher (IT Department for the Medical School at Dartmouth College), among other ways the pink-eye infection was spreading, was in contact with public keyboards. It was found that people were rubbing their eyes and then using the keyboards. This enabled the pink-eye infection to spread. The school first opted to replace keyboards and disinfect machines. However, the cost of replacing keyboards was cost prohibitive. After researching solutions, Seal Shield washable keyboards were installed. Since putting Seal Shield keyboards in place, the number of replacement keyboards was almost zero. There have been no reported cases of pink-eye. Because the keyboards are run through a dishwasher at the end of each term, students and staff are much happier at the cleaner look. The keyboards of multiple-user (student) and single-user (staff) computers located on a university campus were sampled to assess microbial contamination. 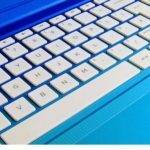 The average number of microorganisms present on multiple-user computer keyboards was significantly greater than on single-user keyboards, and the number of keyboards harbouring potential pathogens was also greater for multiple-user computers. 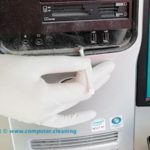 It is recommended that regular cleaning and disinfection of computers be used to reduce the microbial load, especially for multiple-user workstations. 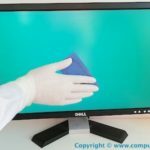 An investigation into the extent of contamination of computer keyboards in hospitals has shown that 58% are contaminated with harmful bacteria. The study, conducted under the direction of Dr. John Conly at the Ward of the 21st Century in Calgary, sampled 230 keyboards across 3 different ward types in 4 separate hospitals. “People are going from a patient from wound care and then they have to enter information into the computer. They can carry the germs from that procedure onto the keyboard,” says Conly. Having a keyboard that is easily cleaned and effectively decontaminated is a valuable first step toward a healthier environment for patient care.